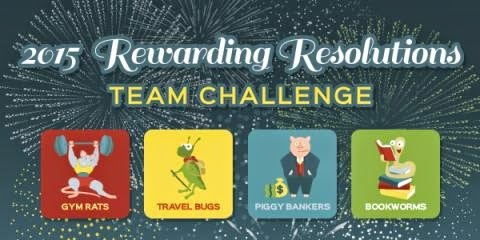 New Team Challenge with #Swagbucks! Mobile Special Offers: Download the Swagbucks Mobile App and every time you earn SB for taking part in mobile special offers, you’ll contribute 30 pts to your team! SwagButton: Contribute 20 pts to your team everyday that you’re logged into the Swagbucks Extension (SwagButton). Surveys: Get rewarded for giving your opinions on surveys and you’ll also contribute 15 pts to your team! Search: Search the web and every time you earn SB you’ll contribute 10 pts to your team! Make Swagbucks Search your preferred search engine and you’ll never miss out on a search win. Special Offers: When you earn SB for participating in Special Offers, you’ll contribute 10 pts to your team! Games: Play Swagbucks games and every time you earn SB, you’ll contribute 5 pts to your team! Swag Codes redeemed via SwagButton or Mobile: There are a lot of places where you can redeem a Swag Code, but when you redeem your Swag Codes through the SwagButton or the Swagbucks Mobile App, you’ll contribute 5 pts to your team! Swag Codes redeemed via Desktop: Redeem Swag Codes on your desktop and you’ll contribute 1 pt to your team! And finally, the Top 5 Point Contributors from each team will win bonus Swag Bucks as well: 500, 400, 300, 200and 100 respectively. This is a great time to join Swagbucks and start earning those free gift cards! Just click here to sign up.